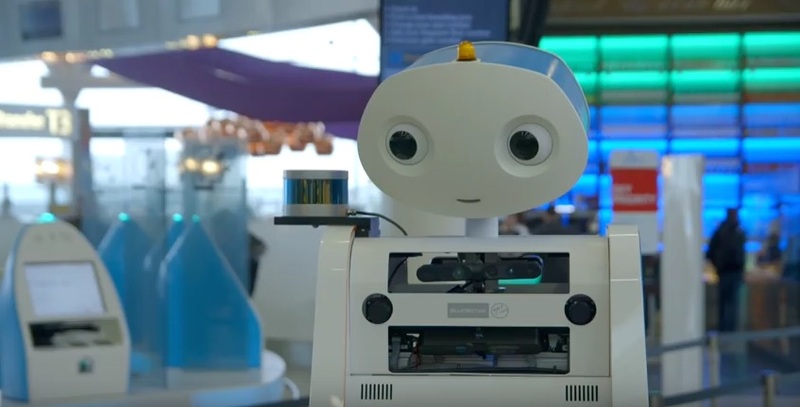 Spencer, a passenger assistance robot developed by Dutch airline KLM, has completed a series of trials at Amsterdam Airport Schiphol in the Netherlands. The initiative was conceived by KLM to help reduce costs associated with passengers missing connecting flights but may be developed in future to carry luggage and speak with passengers. To help safely navigate the terminals, Spencer uses a laser guidance system that measures the distance to stationary objects and people, allowing it to circumnavigate large groups or adjust its speed to passengers following behind.